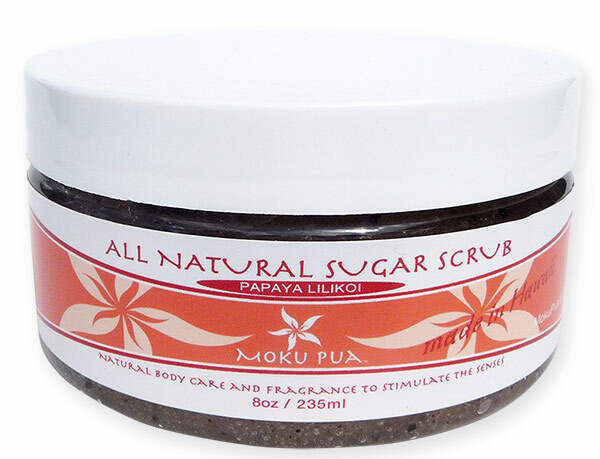 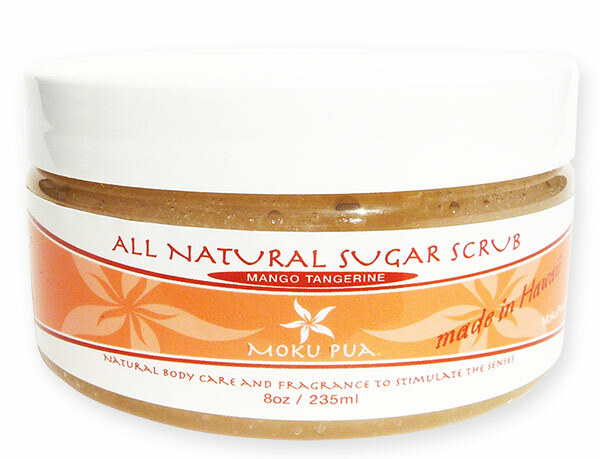 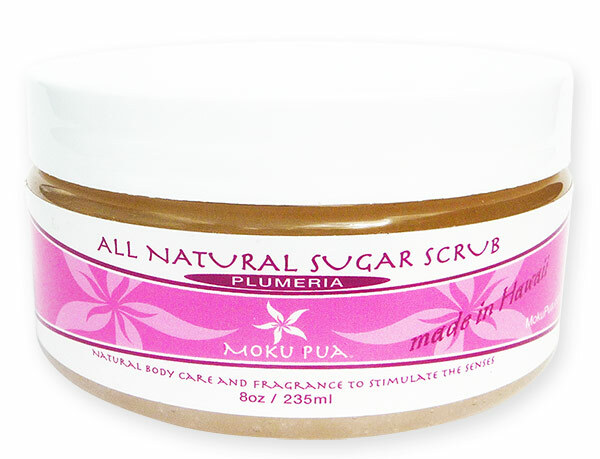 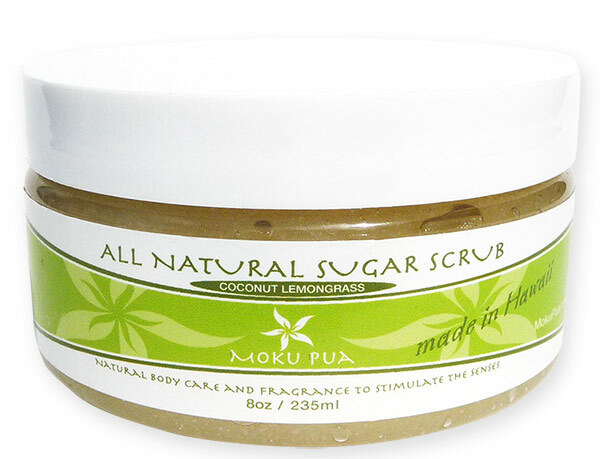 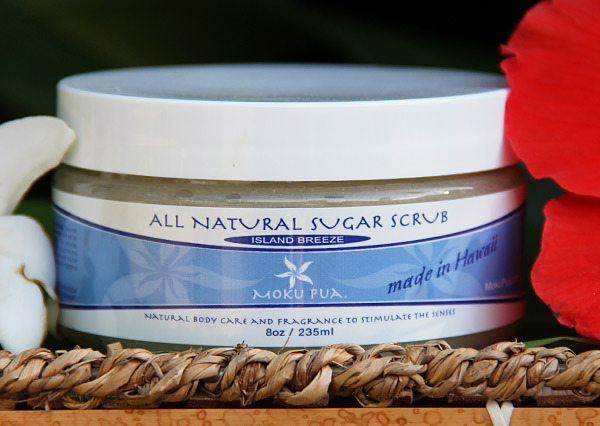 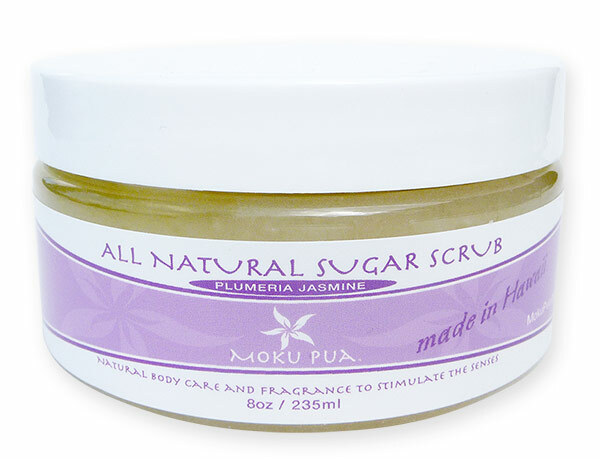 Moku Pua’s all natural sugar scrub gently exfoliates your skin as the sugar dissolves. 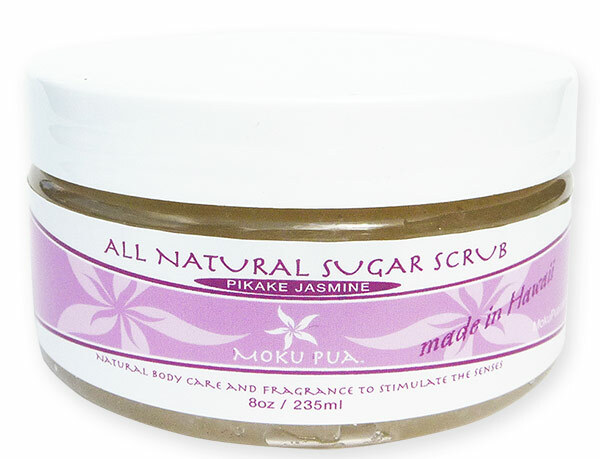 Your freshly rejuvenated skin will be hydrated, moisturized, and conditioned to velvet perfection. 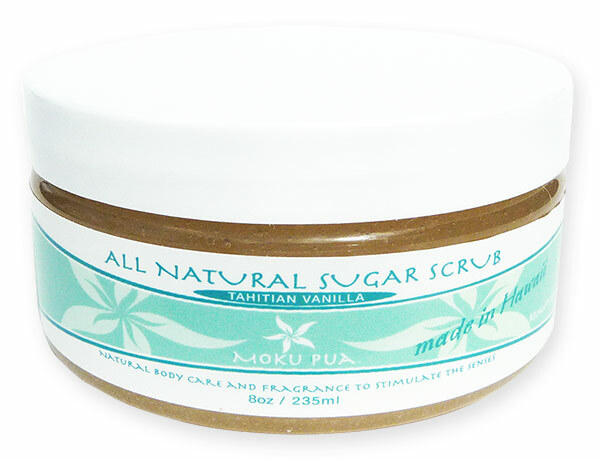 For centuries, Pacific Islanders have known the secret to luxurious skin using Coconut and Macadamia Nut Oils. 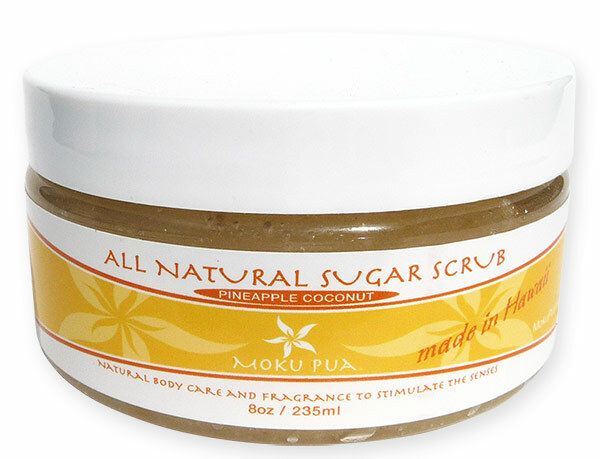 Moku Pua blends these exotic oils with Hawaiian Cane Sugar, Aloe Vera, Olive Oil, Sweet Almond Oil, Grapeseed Oil, Essential Oil and/or Fragrance Oils to create a unique tropical all natural Sugar Scrub. 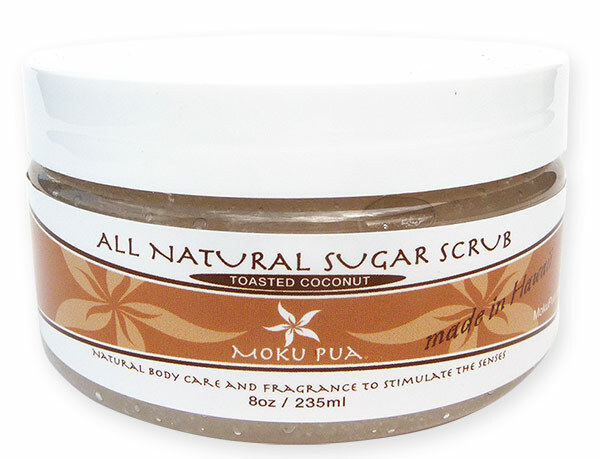 Offered in an 8oz container.